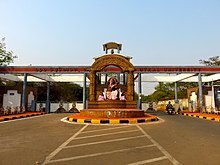 ↑ "ପରିଜା ପାଠାଗାର". Retrieved 27 November 2012. ↑ Higher Education of SC/ST Girls in Orissa. p. ୧୫୬.